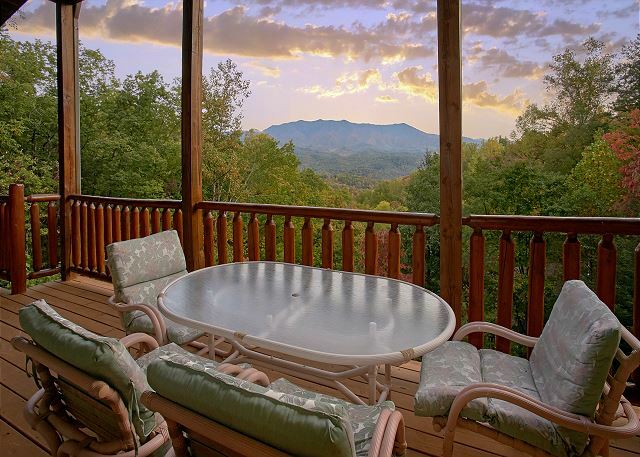 This beautiful mountain rental offers luxury, charm and privacy! If you truly just want to get away to the mountains, this is the right choice!... VIEW NOW. 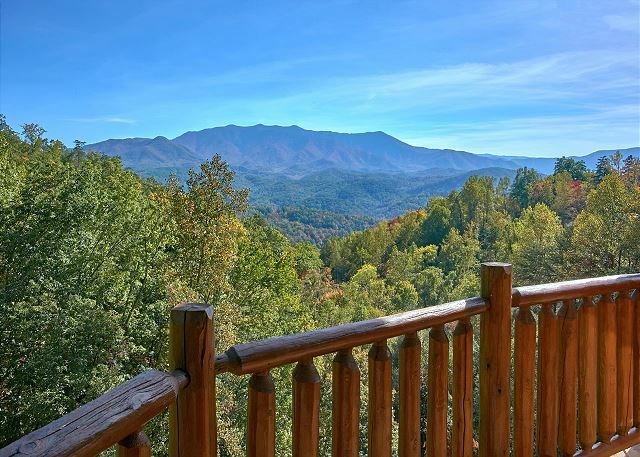 Location: Gatlinburg, TN (4 miles from Downtown & 6 miles to the Great Smoky Mountains National Park) Looking for the NEWEST, MOST INCREDIBLE vacation rental in the Smokies?! 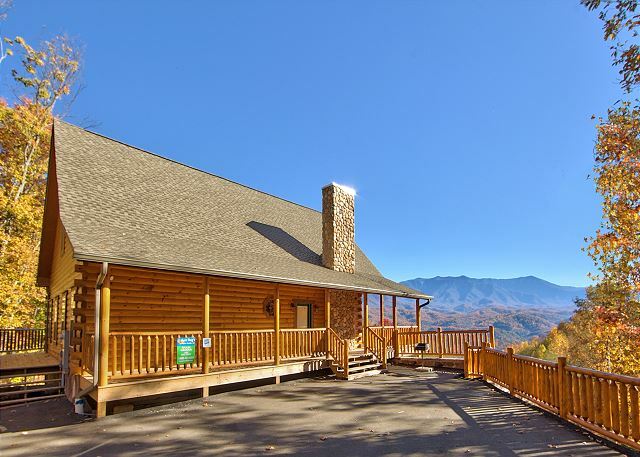 Splash Mansion is one of the elite vacation homes in the Smokies & The It has a Million Dollar$ Mountain VIEW that is unsurpassed!!! 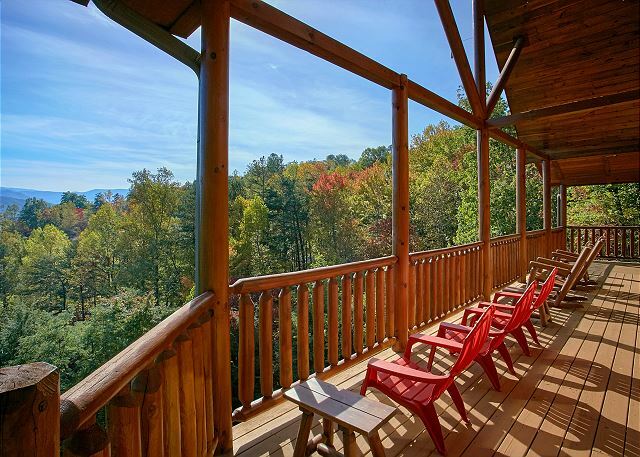 Looking for a vacation cabin rental in the Smokies for a relaxing family vacation, corporate retreat, or the ultimate vacation amongst friends? 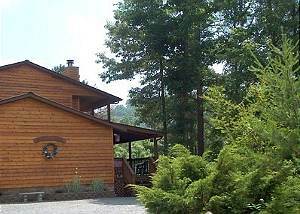 Stop flipping webpages because Splash Mansion is the RICHest choice for your Gatlinburg Vacation Accommodations! 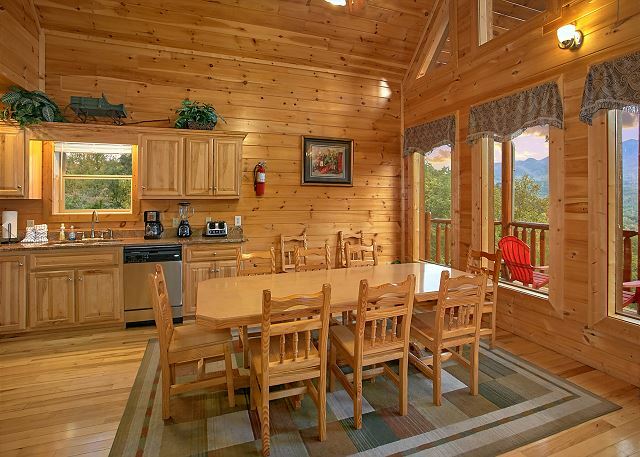 Not only does this professionally-decorated log cabin rental have jaw-dropping views, but it has privacy with a security system. Your family & friends will have Mt. Leconte as a view every day you live in luxury at Splash Mansion. 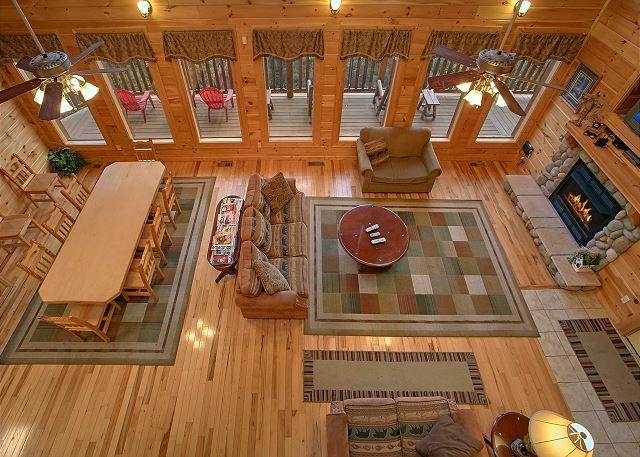 This EXCLUSIVE log cabin rental has its own heated, indoor pool with super-sized outdoor hot tub! Did you know the downstairs included a Kids' Rock Climbing Wall, Bunk Bed, & Big Screen TV? 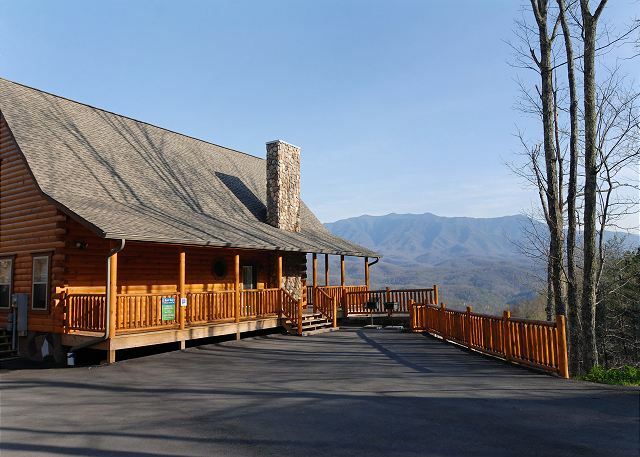 The kids will have memories of a lifetime after staying at the Splash Mansion Lodge here in Gatlinburg, Tennessee! 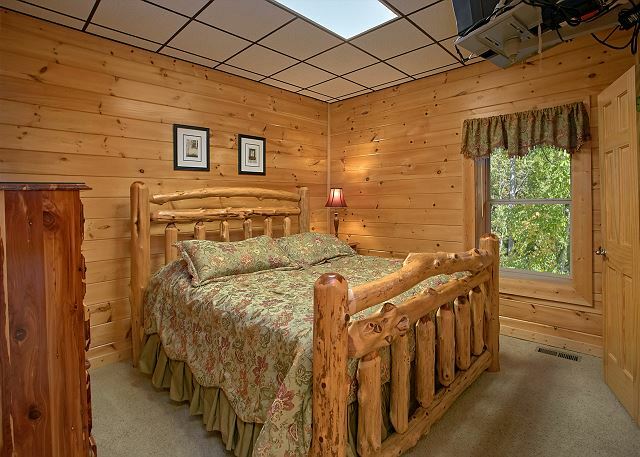 This Premium Luxury Log Cabin has a State of the Art Surveillance & Security System for your safety! You can enjoy Free WiFi Internet Access anytime at Splash Mansion. 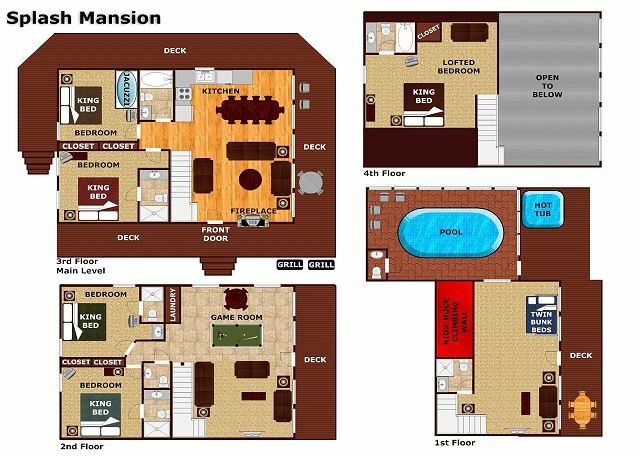 This three level Mountain Mansion has 5 King Bedrooms with King Aspen Log Framed, Pillow-top Beds, TVs, & lots of space! 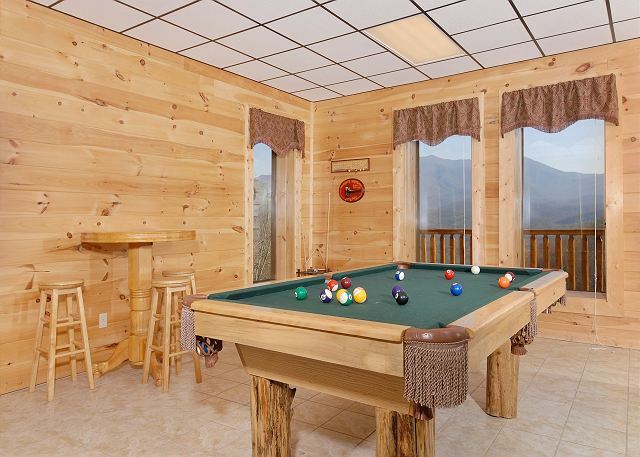 Your group will love the custom-built log slated pool table in the gameroom. 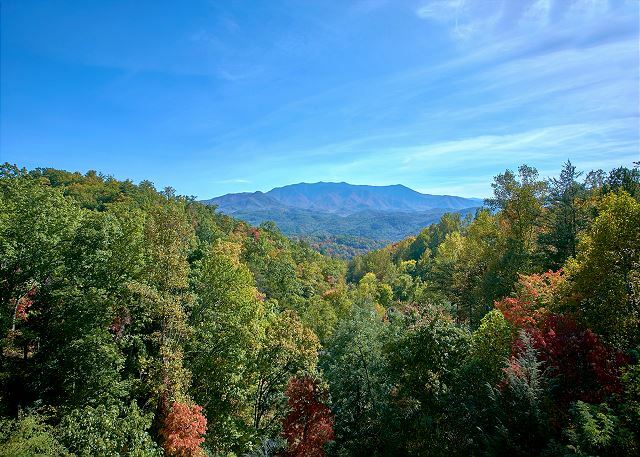 Every level has an amazing view of the Smoky Mountains! 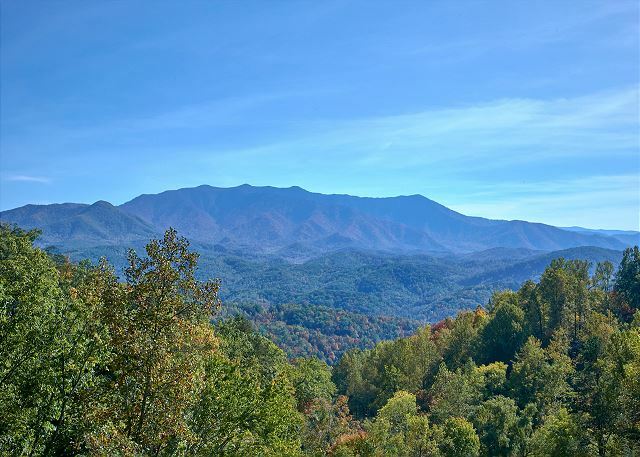 Sit outside with your coffee or beverage morning, noon, or night & enjoy the most magnificent views in All of Gatlinburg! 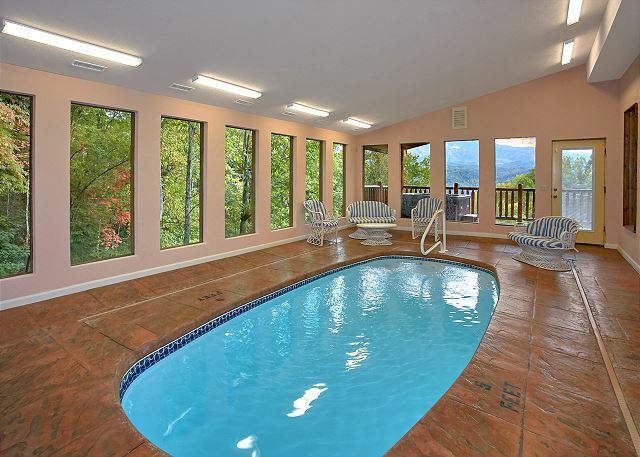 There is nothing more relaxing than coming to The Smokies and staying in a mansion, Splash Mansion, that is. This 5 bedroom, 6.5 bath property offers everything from its very own rock climbing wall, home theater, and breathtaking views of gorgeous Mt. LeConte, as well as it's very own indoor swimming pool! Splash Mansion is the perfect place for a top-notch family reunion, holiday celebration, or any other special event. 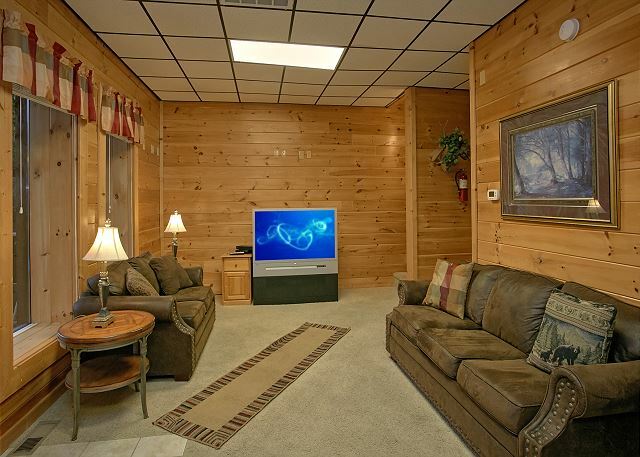 Splash Mansion leaves absolutely nothing to be desired during your thrilling, but relaxing Smoky Mountain getaway! 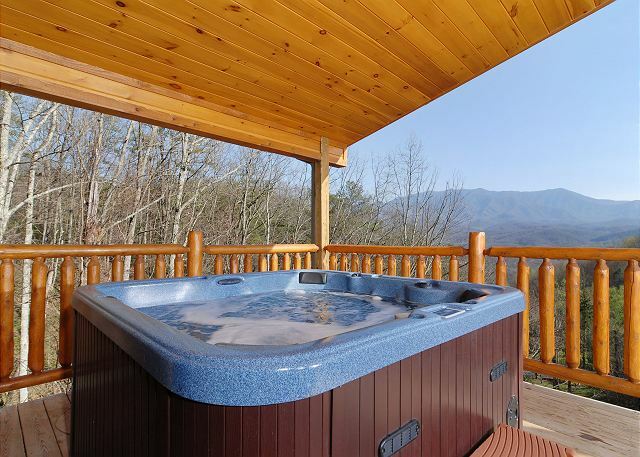 See why everyone is raving about Gatlinburg's Splash Mansion. This is the Crown Jewel: New construction, Breath-taking Mountain Views, Privacy, & Professionally maintained Indoor Swimming Pool. This is the most exclusive private pool cabin in our locale! Book today for the Ultimate Vacation or Celebration! 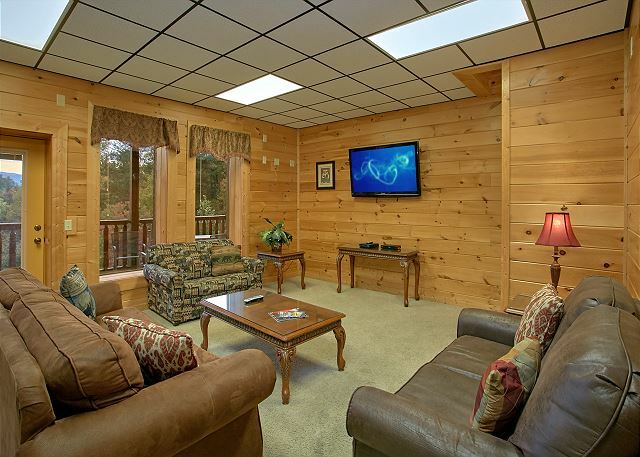 Reserve this luxury log cabin lodge today for your Amazing Vacation & Bring your camera for the Family Vacation of a Lifetime! Get a sneak peak at the talk of the town! 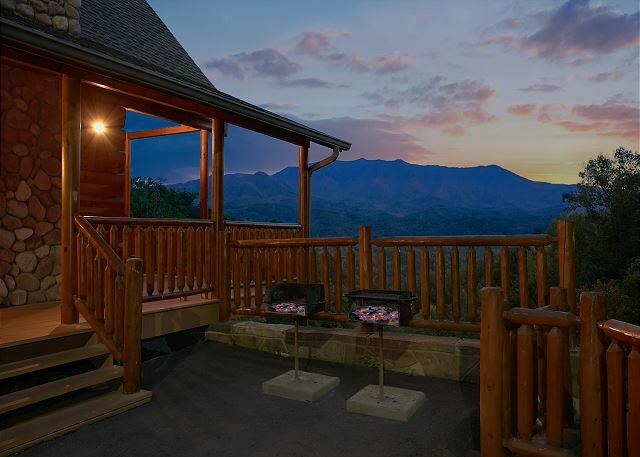 Gatlinburg's "Splash Mansion" can be viewed here: Reserve today while availability exists! Rate is based on 10 adults, each additional adult is $12.50 per night. Sorry, no pets or smoking allowed here. There will be a $500.00 Cash Damage Deposit required for your cabin at check in. This is refunded via check to the address on the reservation once housekeeping clears the cabin after checkout. We look forward to your stay at Splash Mansion! Must be 25 years old to rent. While we had a problem with management prior to arriving, which had us worried about our decision, the cabin won us over. The women who care for the cabin had it cleaned beautifully, and helped us with some great tips (ie. do not leave car windows cracked open since bears are in the area and can find their way in). A big thank you to the two of them! The cabin was all we hoped it would be, giving us plenty of room for the 3 families to have time together, and time to ourselves. The view was breathtaking, and we found ourselves taking pictures from the deck every hour as the sun and clouds changed the landscape. We cooked every day, had plenty of plates, utensils, and cups, but could have used an upgrade on pans,etc. 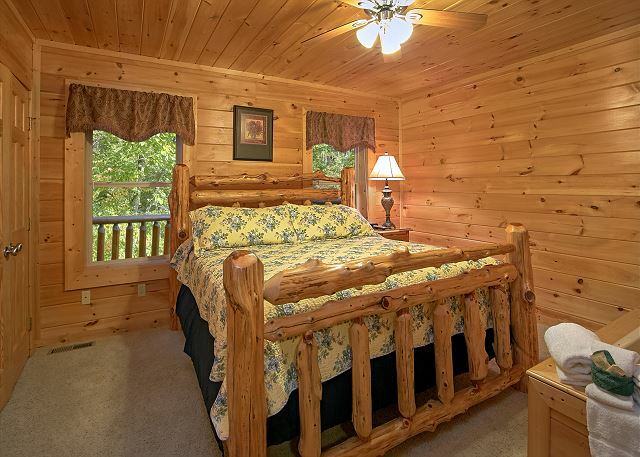 The cabin is a short drive to downtown Gatlinburg, The Great Smoky Mountain entrance, and white water rafting. I would definitely recommend this cabin, but would also recommend calling management a few days before leaving to guarantee current terms are as present in your contract. Beautiful house and location. Very clean. We had a party of 11 and could fit more very comfortably. A couple couches need replaced and more seating on the main deck would be nice but very very clean and nice. We were told we needed to put $500 (cash only)deposit AT checkin when we checked in. We didnt truley know this despite being told we were notified. I would of definitely remembered something like that and taken note if an email was sent. Luckily we did have enough cash. But that was detail i wasnt too happy about. Otherwise very positive experience. Whole experience was amazing! The view from the deck/windows was insane. We ordered pizza one night and by the time we got to the door, the pizza guy was looking at the view in awe and asked if he could stay to take some pictures. He said he delivers to a huge number of cabins and had never seen a view as amazing as this one. When the locals are dropping their jaw, you know you've found something special. It was spectacular. The little pool was nice, a tad colder than I hoped but was great for chilling. We didn't try the hot tub but everything was delightful from top to bottom of the place. Game tables were old/worn but functional/fun. We went for our honeymoon and this place is WAY big for that, but it worked great as a surprise getaway. I surprised her telling her we got a "cozy shack" rental that has good views but was pretty small. This worked out great for revealing by stages. When you arrive, you see the amazing view and see the first 1.5 floors of the cabin. Looks decent-sized but the bottom 2 floors are completely hidden upon drive-up. We walked in on the den/kitchen floor and she gushed about the place just from seeing only that + the view. I then showed her the jacuzzi (which worked great, btw). I then showed her there were stairs down and revealed the pool table and air hockey (which we both love). She was delighted with only that (again)! Then I took her down one more level and showed her the rock climbing wall and she was even more taken aback at how cool the cabin was. Then was the outside deck with the hot tub. Then the indoor pool reveal.... she was overjoyed! Made for an insanely good cozy getaway. The size would be much more ideal for a larger family event but having a mansion all to ourselves was a wonderful splurge for our honeymoon. Will definitely find an excuse to come back! 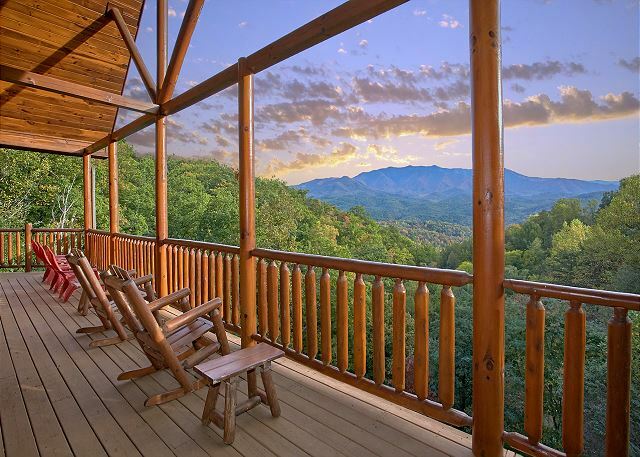 Splash Mansion has to be the best view in Gatlinburg, the way the treeline opens up to view Mt. Leconte and each balcony provides the same, unfiltered and amazingly beautiful view. Sitting on the balconies or in the hot tub and just watching the clouds rest or hug the mountains is breathtaking. Above anything else, this makes this the best cabin ever! The cabin is exceptionally clean, everything was beautiful and we really enjoyed ourselves. We couldn't even stop saying, "Wow," when we got there because it was so spectacular. There are plenty of dishes in the kitchen, plenty of pots/pans, and more than enough coffee cups (a whole cupboard filled with them). Based on some other reviews I had brought some of our own dishes, but we really didn't even use them. The appliances in the kitchen are new and it appears they've recently upgraded the big screen tv in the living room and on the first lower level - they're both about 55 to 60 inch tvs - I think. We own a 50 inch at home and they're bigger than our tv. The beds are exceptionally comfortable and as someone who has a bad back, I didn't have any issues at all for the first time in a long time. The only issue was my wife found that the sheets or mattress pad beneath the sheets made the bed really hot - but that's a personal preference and not a downfall. The myself and the other guests didn't mind in any way. The chairs on the deck were all functional and nice to sit in - although we had wished there were more chairs on the main deck. Only 4 people could sit out there at a time. Aunt Bug's themselves were all friendly and professional. They worked with us in answering any questions or concerns we had before arrival. We had arrived early, and while we couldn't check in, they recommended some places to go to that were nearby for lunch or to entertain the kids while we waited to check in. Everything was just what we expected and we all enjoyed our stay. The house is beautiful with incredible views all the way around. The furnishings were comfortable and cozy with lovely bedrooms. The kitchen had everything we needed to cook breakfast, lunch and dinner as well as outside grilling for great steaks, burgers, dogs and yes, SMORES! Splash Mansion 500 was a lovely cabin and beautiful scenery. We had good service from Aunt Bugs and the cabin was as described. The furniture is in need of updating (though not bad). The carpet on stairs and bedrooms were dirty but realize that is hard to clean when you have people coming in as soon as someone leaves. I would recommend they have the hardwood floors all over as the living and dining rooms are. Wonderful time. Excellent facility. Did not know it was a salt water pool. Some equipment needed replaced or repaired. Excellent views. Enjoyed our time. Splash Mansion 500 was a lot of fun. We had 13 people in the cabin including 6 between the ages of 12-18. We had pool challenges, rock wall challenges and enjoyed the hot tub and deck. Oh yes, setting out on the deck enjoying the great Tennesee spring weather was wonderful. The house allowed for fun on multi-levels with minimal sound traveling to the main floor. Would definitely recommend the home, site and management company. The cabin and view was phenomenal and met all of our expectations. We only used the pool once due to the tempertaure and location. I believe due to liability issues that may have been the deciding factor on where the pool was located. 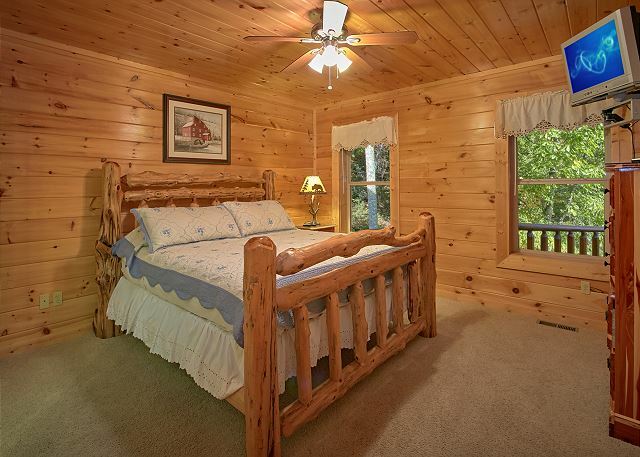 Overall I would give recommend this cabin to large families as there is plenty of room and you could have quiet time away from family or friends if needed or wanted. convenient for our late arrival and early check out. The cabin was very spacious and great for our big group. There are many steps between the 4 levels in case you have elderly. The pool was great for the kids and bedrooms/ beds were very nice. The only problem we encountered upon arrival was the kitchen was dirty. The table had particles of food still on it and it looked like the table had not been wiped down at all. The counter tops the same. Floor had not been swept from previous guest. I mention to the mgmt team when we checked out. other than that our stay was fabulous. Had a great time. There was so much room that the kids keeped busy in the pool and the grown-ups had thier own space to relax. Would like to come back next year. Did not like the fact that the main office did not return emails and that the office hours are very limited. The property and the cabin was very nice and would recomend it to others. We took our whole family and had a great time. bunch, I would check with management because there were 4 mugs for a cabin holding 15 people. All in all, we had a wonderful family vacation with many great memories. God is Good. All the family had a great time at the mansion & in the area. Thanks a lot!! We enjoyed our stay very much. Not knowing exactly where the house was four miles from town was a little far, considering the hill we had to go up, and the snow and ice on the roads. The view was beautiful, the house was clean, the the kids had a ball in the pool. We would go back, in the summer or early fall instead of winter. Over all a great vacation. The location was beautiful. Views were stunning. House was OK. Very small kitchen for the size of the house and no storage space. There was a vacumm but not a broom to be found. You need to have one!! We would have like to have more information about ordering in / delivery options. 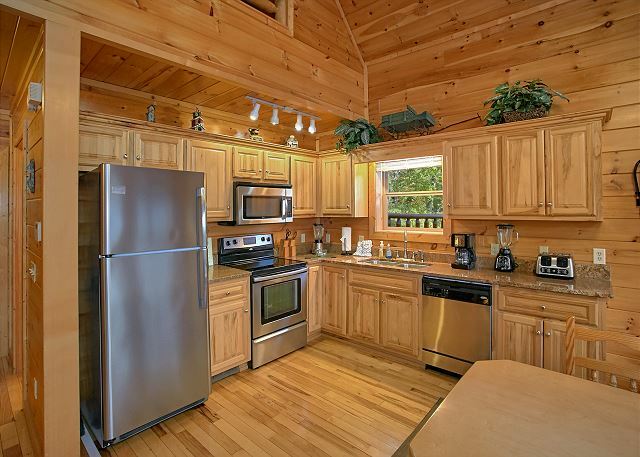 The cabin was beautiful; the view was breath-taking; the home was well-maintained & clean. The only criticism I have was the size of the refrigerator. We had 4 families staying here. It was very hard to fit all our perishables in the refrigerator. We usually have our family vacations at the beach; I was a little worried we would be bored going to the mountains instead this year; boy was I wrong. We had the best vacation ever. We were busy the whole week; hiking; zip lining; shopping; enjoying Ripley's Aquarium, etc. There was so much to do. We had a wonderful stay at Splash Mansion. Loved waking up to that spectacular view all week. We had a wonderful time. The cabin was beautiful. Gorgeous views. Lots of room. You did an outstanding job! I had my family with me and we so enjoyed the house, its furnishings made it so comfortable for us to be together talking, joking around with each other, feeding the competitive need in the game room and wonderful family meals for breakfast, lunch and dinner in a most wonderfully equipped kitchen with the perfect size table to all sit, eat and enjoy. My family cannot wait to come back for New Year in 2018! Service was great! Thank you! Will use you again if in the area. We checked in on time and everything was clean and perfect when we opened the door! A beautiful home and location made a perfect family vacation. Amazing home! Beautiful view!!! Couldn't have asked for a better vacation!! Splash Mansion is an absolutely beautiful cabin, literally there is no word in the human language that describes the view from this cabin in the way it makes you feel. It is beyond astonishing and beyond splendor. We were awestruck at the view, and when sharing the photos, it was quite apparent the view outshone so many other cabins out there. The outside and interior of Splash Mansion is exceptional, everything was gorgeous and clean. No bugs, no broken furniture, etc... All we could say upon arrival was, "Wow!" Much of the furniture appeared to be newer, the rugs were in good shape, the kitchen was well stocked (which I did not expect based on past reviews and had brought my own dishes). Everything was just as you would expect and even beyond. The beds were large and comfortable, so much so I didn't have any back problems during my stay (despite leg/foot problems due to the car ride down). The only thing I would change is maybe the type of sheets or type of mattress pad used, it got really hot at night - but the fan helped to combat that issue. The pool was excellent and I wasn't expecting a saltwater pool! So, I would definitely recommend others to bring lotion with them on their trip. I had forgotten to bring lotion and our skin was so dry after swimming. The hot tub on the balcony is very comfortable, it was clean and helped ease sore muscles after a long trip. I think it's just due to natural wear and age, but not all of the jets worked in the hot tub. None the less, we still enjoyed it and it was by far my favorite place to relax. The only thing I would suggest is maybe some baby gates of some type on the stairwell to the first lower level and to the loft. They make some that are stationary and adhere to the walls/beams. Families might not remember to bring baby gates with them, and having a toddler with us meant we had to get a baby gate. Being a large cabin, you're bound to have lots of families with smaller children - so I think this would be a great addition to give some security to families with little ones. Overall, we had a wonderful stay and enjoyed our family trip thanks to Aunt Bug's! You were a wonderful rental company to work with and we hope to use you again in the future! Cabin was clean, any repairs we needed were fixed in timely manner, the furniture in living room could use some updates and the area rugs need to be tossed before someone trips and falls overall our stay was great . Great cabin, great view, secluded love it! The cabin was absolutely beautiful! We had 14 of us in our group and had plenty of room. The Aunt Bug's "app" was great!! Communication could not have been better. Our stay at splash mansion was amazing! The view was awesome and the cabin was beautiful. We had a problem with the hot tub and some was sent out very quickly, and fixed it. We had the pleasure of meeting the owner. We are planning a trip again in the fall and will hopefully be staying in the same cabin. Thank you all so much for an amazing and memorable vacation!!! We very much enjoyed the cabin. The furniture is a little dated and worn and there were not enough pots and pans for a large cabin. The coffee pot only made four cups which just didn't work so we bought a new coffee pot for the cabin and left it there. Overall we very much enjoyed our stay. 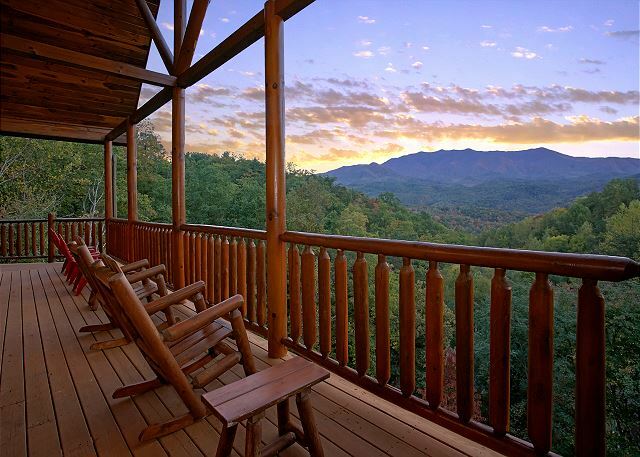 Best view in gatlinburg. Furniture and TV's needs updating. Kids loved rock wall, pool, hot tub, pool table and air hockey!! Huge parking area which is helpful. you made it easy for our late arrival and early check out. Great, the stay was fantastic ,our family has been through so much in the past five years. we needed the quiet, family time , and the Lord was with us in that cabin overlooking Mt. LeCounte. thank you so much for your kindness. The cabin was awesome for our group of 14 and we loved ow much space we all had. The view was magnificant however we didn't use the pool as much as we thought we would. We loved the cabin. Aunt Bug's staff was very professional and kind through email, phone and in person. The app was a nice touch too. Although I did not have a smart phone i had my son download it and keep me updated. 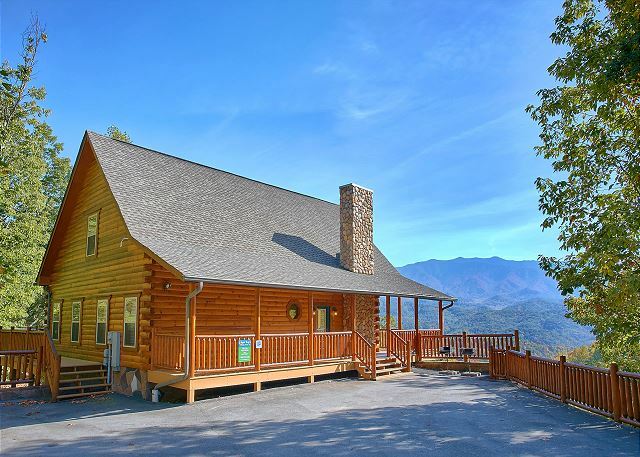 If we are back in the Gatlinburg area i will certainly check out the Aunt Bug's site for a cabin! The cabin was very nice. We enjoyed the pool and views a great deal. I was surprised with all of the minor issues with the cabin. For example, air hockey table didn't work, carpet downstairs was stained and ripped, screen in kitchen was bent, hot tub had all but one head rest, and the filter seemed broken. Wonderful Place. Inside pool and climbing wall. Kids loved it.